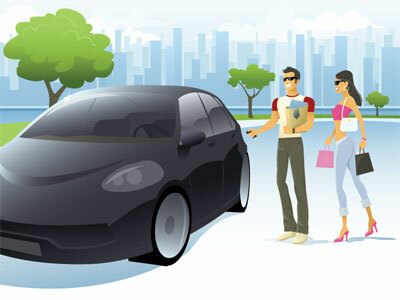 Keyless entry systems add convenience and security to your vehicle. 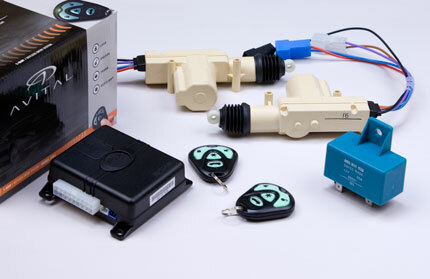 Our remote controlled systems allow you to lock and unlock the doors on your car or truck with a simple push of a button on a keychain sized transmitter. No more fumbling around in the dark trying to put the key in the door. And since the keyless entry will lock all of your doors simultaneously, you'll never leave one of your doors unlocked again. Our car alarms detect intrusion and help prevent theft. All of our car alarms include keyless entry. We even have security systems that come with power door lock kits. More Info. Remote controlled starting for vehicles with Automatic transmissions. 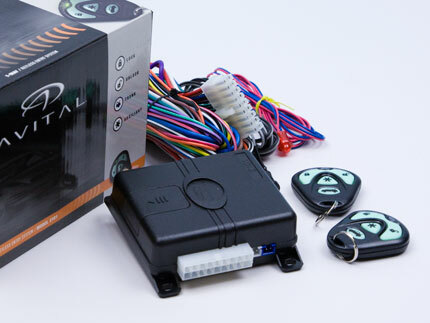 These systems start your car and lock your doors by remote control. Many even have built in security systems. The ultimate in convenience. More Info. Want keyless entry, but don't want to carry a remote control? With an Essex keypad keyless entry mounted on your door, you can intentionally lock your keys in the car and not be locked out! More Info..
Auxiliary output for trunk release, etc. for the ultimate in convenience. knob, the other doors will also lock or unlock. No switches need to be mounted. and keyless entry to your car or truck. with factory installed door locks. Ever wish you didn't have to carry around your keys or remote control? Maybe you want to ditch the remote control altogether. With an Essex keypad keyless entry, you can lock your car keys and remote control in your car. Enter a combination on the keypad to unlock the doors and get in the car.